FIXYOURTHINKING.COM / Need a brain? Borrow mine! : Steve Idiozniak! 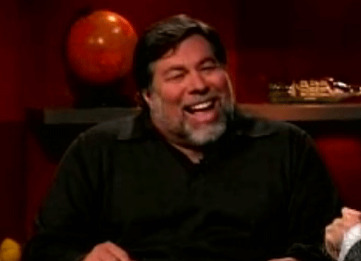 In every interview I've ever seen Steve Wozniak (co founder of Apple Computer) I have always thought he acts like a complete idiot. He owns a Prius and a Hummer - one car gets the most mileage to the gallon for consumer priced sedan, the other gets the least mileage of ANY consumer available vehicle. ONLY a jerk would have these two cars together in his garage. [WOZ] you have zero business sense. I firmly believe Jobs would be a millionaire if he’d never met you, whereas for all your brilliance, without Jobs you’d likely have been laid off at HP when they could no longer sell calculators at $400 a pop. Remember, they weren’t interested in your computer designs. Thank god, I thought I was the only one who thought that.